Like him or loathe him Donald Trump is one of the main news stories at the moment . He also seems to be generating interest from spammers as well. We at AdaptiveMobile released a blog last year that displayed how spammers will capitalize on any issue that captures the public attention, by sending related spam. Prior to the inauguration on the 20th of January we examined traffic to see is there any President-elect Trump related spam. 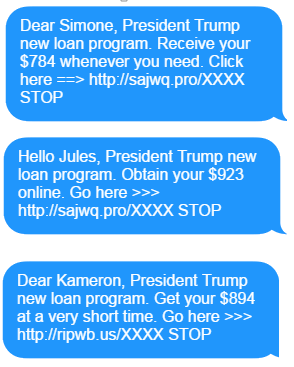 Over the last few months we’ve seen President-Elect Trump’s popularity is being capitalised on by spammers, who are sending spam SMS from VoIP operators that use the Trump name or brand. The URL embedded in the SMS redirects to an aggressive loans website shown below. Note there is no mention of Trump on the website, indicating that the attack is not actually built around the Trump 'brand', but its only the text message that uses it (so far). 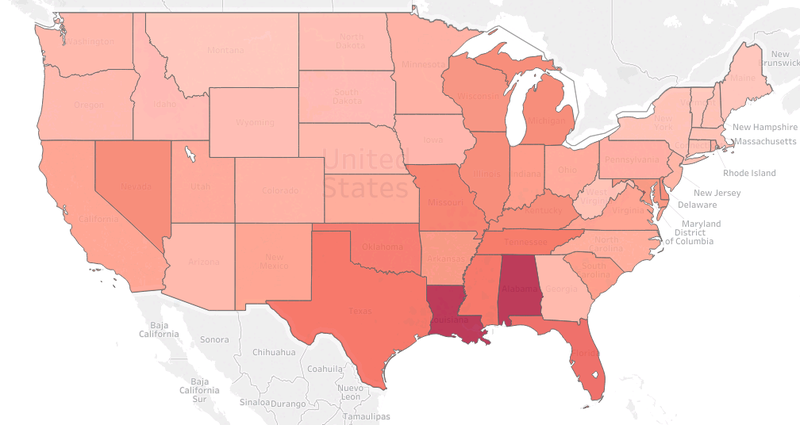 The more red a state is, the more spam per person it was targeted with. It is interesting that the campaign is most concentrated in states that voted Republican in the 2016 Presidential election, with 9 out of the top ten targeted states voting Republican (the outlier being Washington DC). However it can be difficult to come to a conclusion as to why these Republican states were targeted more per person than other states, it might be due to chance, income levels per state, the fact that President-elect Trump won more states or maybe due to a list of recipients the spammers had available to them. The URL embedded in the SMS redirects to a link like: xxxxx-moneyxxx.com. 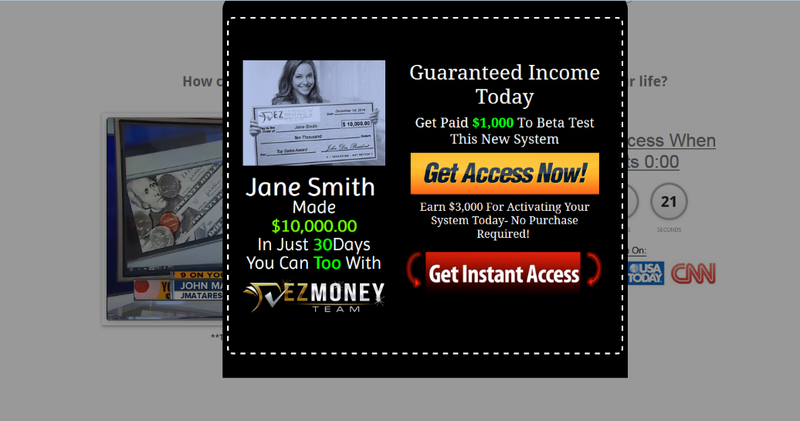 Once you land on this URL a video starts that entices the viewer to work from home and earn money by “barely” working. Again there is no mention of Trump in the video, showing that the spammers were simply reusing the Trump brand for an existing spam campaign. 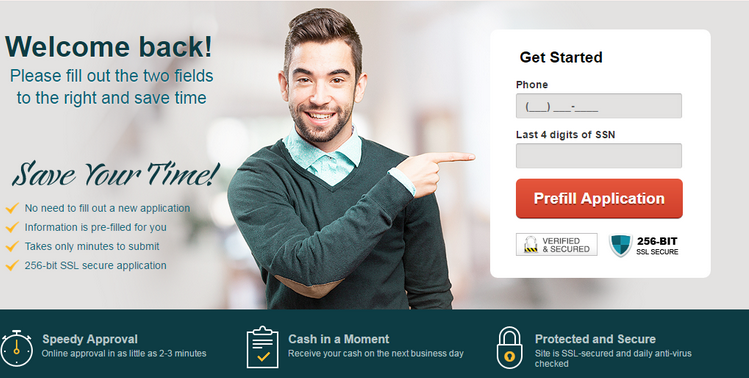 This make money quick scheme campaign again targeted all 50 states and Washington DC. In a 2 day period there was over 30,000 messages that reference President-elect, sent from VoIP operators. To examine the information further we again calculated how many people per state received a spam message related to this Spam campaign. The results of this campaign were more evenly spread across the states as you can see from the below map. 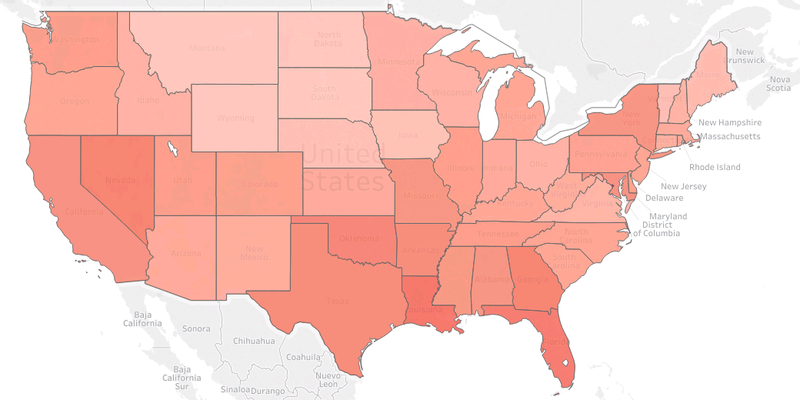 Again in this case the more red a state is, the more spam per person it was targeted with. This time the top states with the low messages per population statistic voted both Republican and Democrat, it remains to be seen if this trend continues over time. Although that was targeted more at the Affordable Health Act, rather than using the President Obama ‘brand’ itself. Of the two campaigns examined we do not have enough evidence to conclude that the first campaign (the Loan spam) was indeed targeted to states by political orientation, but previously we have seen attacks targeted by the presence of small regional banks, income levels, and even number of unattached males so it may well be the reason, or at least one reason of many. Certainly, this Loan spam campaign varies from the 2nd campaign covered - the make money quick scheme - which was interesting as it was evenly distributed throughout the states and showed how we expect campaigns to be distributed. Overall, it seems likely that the more the new President remains in the news, the more likely that spammers will continue to try to cash in on his "brand". As a result its likely that more people in the future will be receiving attacks on their cell phones, purporting to come from, or be recommended by, President-elect Trump.